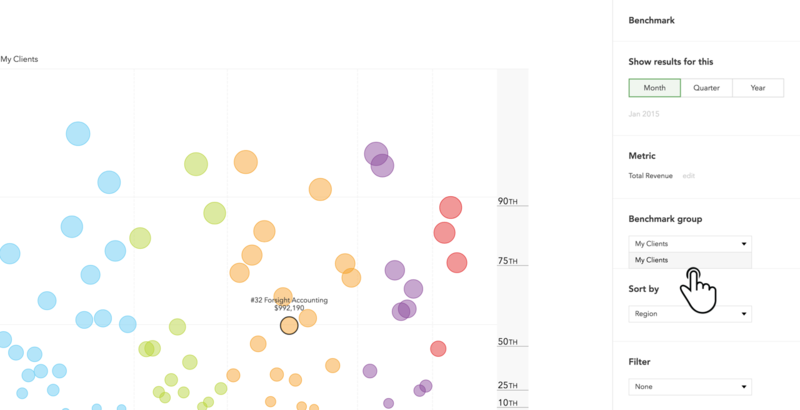 Scatterplot (or benchmark) charts enable the comparative analysis of multiple entities. These charts help you to see how overall performance between companies, clients, or franchisees compare. These charts are available for any company that is part of a benchmark group. If you wish to see the company in a benchmark comparison, you can add a benchmark group in the My Companies screen. You can edit a benchmarking chart by hovering over the chart and clicking ‘edit’. 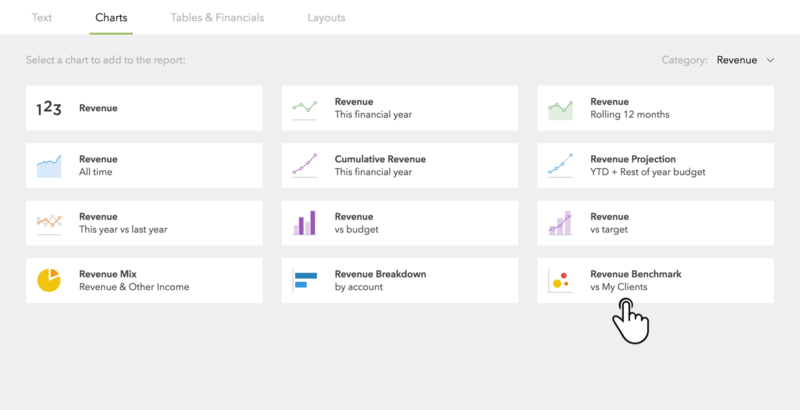 This will bring up the properties panel where you can further customise the chart. You will be able to change the period under display, the primary metric, the benchmark group, and the way the chart is sorted. The primary metric can be ‘edited’ to change to any KPI or summary P&L or Balance Sheet account. If a company is part of multiple benchmark groups, you can use the drop-down menu to select the group you wish to use for comparative analysis. The way the chart is sorted can be changed to show result – best to worst performer –, alphabetical order, or by any segment with you have specified in the benchmark setup (e.g. region, industry). You can also include a summary table which shows this companies exact result in relation to its peers. This will appear below the benchmark chart, showing the period’s result, the median result on the primary metric, and the rank and percentile of this company’s result. You can shift the table up and down the report by hovering over the arrows icon and selecting to move up or down. The scatterplot chart takes up the whole row, and cannot be shrunken.